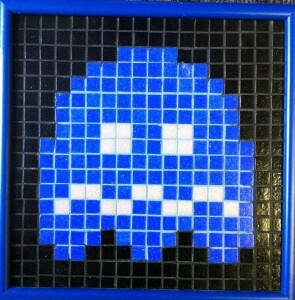 With the exception of 1 prototype, these were the first mosaics I ever made. There are 5 of these ghosts in total, I still have one, the rest have made their way to the homes of friends and relatives. They all use glow-in-the-dark grout inside the ghost which is actually not as cool as it sounds.